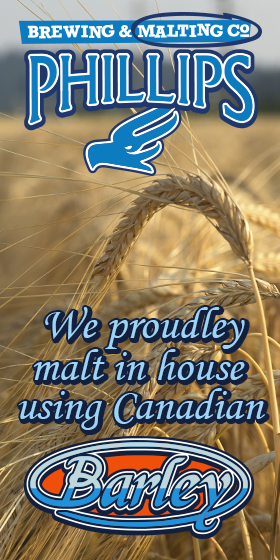 Now that the snow if furiously flying, it’s time to hit up 17 Avenue SW for some more delicious food and some of the best cocktails and beer in town. Just grab a window table and let it snow, let it snow, let it snow. Japanese fusion right in the middle of 17th Avenue! Their happy hour runs from 3 pm t6 pm, Monday to Friday, with a large selection of appetizers for $5 – tuna or salmon poke, fresh avocado corn salsa dip, pan-fried dumplings, and more. Get a Sake Bomb for $5, or an Asahi tall boy for $6 to wash all the deliciousness down. A fancy bubble tea place with a big selection of high-quality teas, fresh fruit juices, shakes and coffee — there really is something for everyone. Choose your toppings, choose your sweetness, choose your temperature … your drink is custom made just for you. Not technically on 17th Avenue SW, but Ricardo’s is too good to skip over. Step inside this Havana-style oasis for an empanada and some pineapple jerky, while you sip on some of the best rum-based cocktails in the city. Happy Hour runs from4 pm to 7 pm, Tuesday through Friday, and features $2 bar snacks! Home of the 25-cent Happy Hour, National 17th has the biggest beer selection on 17th Avenue SW. A little more low-key than National 10th or National 8th, this location is the perfect place to settle in for a cozy night of great beer, great food and good times! There’s always something going on at this neighborhood pub. From karaoke nights to back-alley parties to live bands. Local 510 is where you’ll always find the fun. They also have a killer brunch. You haven’t lived until you’ve had a slice of fresh burek from the European Bakery. If burek isn’t your thing (you’re crazy) there are plenty of other baked treats as well as a huge selection of European condiments, candy, soft drinks and more. And the service is always fast and friendly. The Korean word Anju translates to “food you eat with alcohol,” so why not enjoy some of their famous Maple Hill Chicken Wings with some traditional Soju? Added bonus: the Maple Hill Chicken Wings are part of the Mealshare program which means every order helps feed a youth in need. By now you’ve heard about the stuffed burgers from Naina’s, and if you haven’t, listen up — burgers stuffed with things like poutine and perogies and mac & cheese! They also have lots of other stuff on the menu, but when you can get a burger that is stuffed with perogies, do you really even need to look at the rest of the menu? Starting your day at the casino? (No judgment, I’ve done it too!) Stop into the restaurant for some dim sum! A surprisingly wide assortment of fresh and tasty dishes, available Friday through Sunday, 11 am to 3 pm. Ending your night at the casino? Pop by the cafeteria for a Bubble Waffle. Get it “loaded” and enjoy ice cream, sprinkles, whipped cream and M&M’s on top. A real hit at the end of a long night playing slots. 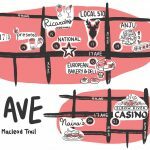 Want to explore 17 Avenue SW a bit more? 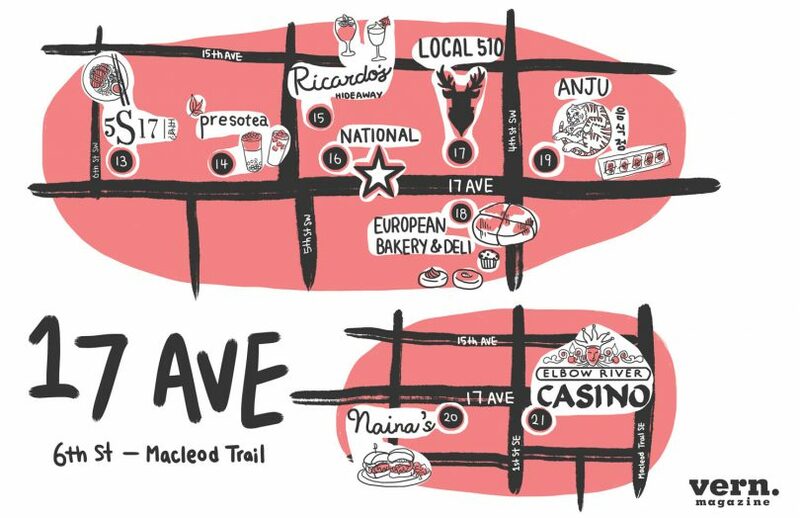 Read our Know Thy Neighbourhood: 17th Avenue SW, Part 1 guide.